A maverick thinker will tell you “If you want to be better than the competition, you can’t afford to continue thinking like them”. Efficiencies of process and procedures can only scale your business so much incrementally. To be truly successful, you have to do something your competition can’t or won’t do. You have to think nonlinearly whilst your competition continues to think linearly. You can’t merely think outside of the proverbial box, sometimes you have to be prepared to burn the box to the ground and build your empire on its ashes but not always. Steve Jobs was your typical Maverick thinker in his days at Apple and Richard Branson Virgin group of companies just to name a couple. 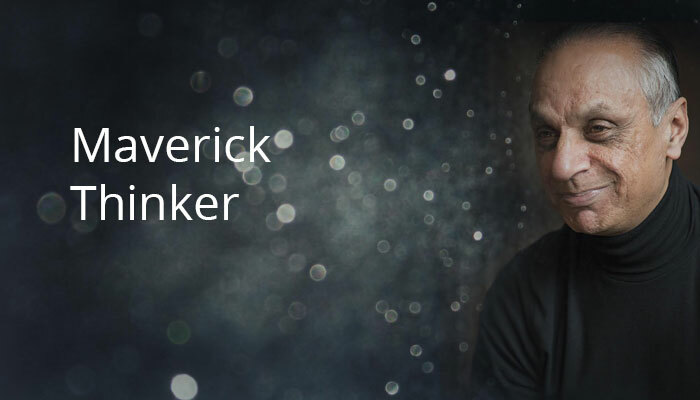 What is a Maverick Thinker? As human beings, we’re hard-wired to associate with people who are just like us. Left to our own, we’ll have a tendency to do business and make friends with people who are the same gender, race, and religion. We end up trusting people who think like we do more than we trust someone who thinks differently. What’s worse, as human beings, we’re social creatures of habits, so we condition ourselves to think like those we’re around. If we’re around entrepreneurs, we think like entrepreneurs. If we’re around middle management we think like middle management. But success—real industry-defining success—can’t come from thinking like everyone else. “Real success comes from doing something different”. Pick your cliché. You zig when they zag. You think outside the box. As Apple’s most famous ad campaign said, you think different. It’s what I call Maverick Thinking or being a Maverick Thinker (a nonlinear thinker) and it’s one of the few things that can truly differentiate one business-person from the next. How is a Maverick Thinker different? We all know how our industries work. We know the processes inside and out. We know what our customers need. We know what we can deliver and how to deliver it. If we didn’t, we wouldn’t have the success we’ve had. But all of that knowledge and all of that success is built on assumptions that are so ingrained, we often don’t even recognize that we’re making them. A Maverick Thinker has conditioned him or herself to recognize those assumptions and throw them away. Steve Jobs was one of the world’s great Maverick Thinkers and his willingness to ignore assumptions changed the way we all live. The first advertisement for the iPhone aired on February 25, 2007. We all had cell-phones then, and we all have smartphones now. Before the iPhone, we thought cell phones were primarily phones. Jobs changed how we do business by thinking of them as computers first. My very first mentor Jay Abraham from as far back as thirty years ago ingrained and taught me about nonlinear thinking, ever since it has helped me to position myself as the go-to maverick thinker to help organisations to find nonlinear solutions to linear problems in order to break away from the crowd. How is a Maverick Thinker the same? If all we want is someone who thinks differently than everyone else in business, we could merely hire someone with no business experience, but that would be a disaster. “Maverick Thinkers don’t ignore fundamental principles”. Supply and demand doesn’t disappear just because someone wants it to. Providing something customers don’t want or need isn’t going to suddenly become profitable just because someone wants it to. A Maverick Thinker is going to have a firm grasp on business fundamentals. They’re going to understand management structures, supply chains, customer service, and everything that occupies the minds of inside-the-box thinkers, the linear thinkers. They’re going to have 10, 20, maybe even 30 years of providing conventional strategic advice by coming up with nonlinear solutions to linear problems. They’re not going to ignore the business fundamentals that got them where they are, they’re merely going to ignore the conventions built atop those fundamentals. Maverick Thinking is simply a matter of cutting through the nonsense and applying fundamental business strategies in new and profitable ways. No risk, no reward. It’s one of those clichés that plague business-people of all stripes, but it’s a cliché because it’s true. Maverick Thinking is no guarantee of success. If you look at the true Maverick Thinkers, you’ll find their careers littered with failures. It’s hard for large institutions to accept Maverick Thinking and risk avoidance is why. As human beings, we’re hard-wired to protect what we have. We’d rather avoid a thousand-dollar loss than achieve a thousand-dollar gain. In addition, when our institutions get big, regulatory issues get more and more important, and we run everything past a whole battery of lawyers. It’s a lawyer’s job to minimize and mitigate risk. That’s why contracts are so tedious—the lawyers drawing them up are trying to anticipate and account for every conflict. It’s not a bad thing, but it is a restrictive thing. As I said earlier on, we are creatures of habit. We do what we’ve always done and when we have a new idea, we run it past the lawyers and the accountants who add caveats and addendums to make sure we don’t lose our shirts. But as business-people, we have to take risks. Doing business the same way we’ve always done business is safe. We know the processes work. We know what the customers want. We know what the processes are and if we can squeeze an extra 4% out of a process, it can look impressive. It can be impressive. But someone in our industry is going to innovate and change the entire industry sooner or later. Maverick Thinking has greater potential rewards, but it can’t be done halfway and that means those potential rewards are inextricably tied to potential losses. “Remember, nobody—Maverick Thinker or not—is always right”. Many businesses talk about developing a startup mentality. They talk about agility and declare their intention to listen to—and be responsive to—their customers’ problems. Then they fail because it’s harder to steer a large organisation than a small one. Having the best of both worlds isn’t as hard as you might imagine. Create an internal startup to serve as a laboratory. Give it a budget you can afford to lose and a mandate to experiment. Hire a Maverick Thinker and charge your new organisation with implementing their ideas on a small scale. “Business plans aren’t any better at surviving contact with customers than battle plans are at surviving contact with the enemy”. Your internal startup will have to have the flexibility to be truly agile. Its job is not to make a profit so much as it is to test the profitability of radical ideas. If and when those ideas prove profitable, you can expand upon them or incorporate them into your larger business. When they fail, you can move on to the next one. If you don’t do this already then one of your competitors might be testing it whilst you are just thinking about it. Working with a Maverick Thinker can be difficult. They specialise in non-linear thinking. Linear thinking involves taking a look at what works and trying to make it work better. Non-linear thinking involves taking a look at the ultimate goal and trying to find a completely different way of getting there. Linear thinking is trying to build a better cell phone. Non-linear thinking is trying to build a better communication device and coming up with the iPhone. Linear thinking will allow your business to grow incrementally but a nonlinear way of thinking will allow your business to grow by leaps and bounds. Maverick Thoughts can seem ridiculous. They can also be mind-blowing. Non-linear thinkers strip away everything that isn’t essential and looks at your business from an entirely new perspective. It can be terrifying and it can deliver game-changing results. My name is Moe Nawaz, and I’m a Maverick Thinker. I have worked with many of the stock market companies in the FTSE Top 100 for more than four decades and spent much of that time developing a capacity for non-linear thinking. True innovation isn’t made from incremental improvements. Process improvement is all well and good, but if you’re not looking for ways to completely disrupt your industry, you’re falling behind those who are. Business is not for the comfortable. The future will be radically different. You can either drive that change or fall victim to it. Together we can help you drive that change in your industry. Contact me if you have sales of over £3 million using the form below and we’ll set up a time to meet up for coffee and talk about how you’re going to drive the future of your industry. Coffee With Moe Nawaz click on this TEXT.